Megan Rhiannon: Megan is a 19 year old Autistic girl who makes fab Youtube videos and autism talks on her channel. Be sure to follow her for great tips and advice. Routines can often leave us feeling bored and uninspired. Sonia is a brilliant YouTuber and artist who explores the importance of Escape as part of the creative process. Cheer up after a bad day or week with some of Sonia’s suggestions! Lucy Moon is a fab YouTuber who openly discusses her battles with anxiety and mental health. She does a lot of chatty videos as well as vlogs and provides some great advice. Becky (presenting the videos) is the founder of Sensory Spectacle. Sensory Spectacle share lots of information on Facebook, Twitter, Instagram, and also provide experiential learning environments which can be used in workshops, at events, etc. Becky also is invited to speak at conferences about sensory processing difficulties and the experiential work she is doing. This video is part of a ‘Homelife’ series is a short video each week sharing information about why we might see some of these characteristics in people with sensory processing difficulties. Conan Grey is a young creative and Youtuber. In this video he discusses how to deal with mood swings, anxiety and being able to relax (as well as get on with your day) no matter how you are feeling. Amelia and Grace Mandeville are two sisters who enjoy making Youtube videos about their daily lives, experiences and even film the odd comedy sketch too! This video discusses how to survive school and some top tips. Charlotte is a lovely YouTuber and also a fashion promotion student and intern, occasional blogger and veggie enthusiast! This is a great video describing her first year at uni. She discusses a range of topics including loneliness, excessive working and anxiety. ASMR / Relaxation videos: I can’t not mention them! If you search on Youtube for ASMR videos (and google their definition) they are some of the most relaxing videos out there! So there you have it – 8 brilliant YouTube channels which I have found super helpful – let me know of anyone I should be following and that I can add to my list! Okay so firstly let me give you a little background in terms of the characters and storyline. The book is centred around a young girl called Iris Heller. Iris is 15 years old and has Sensory Processing Disorder. She finds it hard to cope with the outside world and becomes easily overwhelmed by lots of things such as loud noises, new places, meeting people, ordering at restaurants and changes in the weather. Iris Heller runs away to compete in a national bake-off contest. In order to get there, she “borrows” her mum’s car, travels through several states, and does the most terrifying thing of all — interacts with actual people! Iris has never been like other girls, but she’s not about to start letting that get in the way. Iris has this profound fascination for the musician Dave Matthews, and she feels a compelling need to compete in the bake-off for Dave. It is this talent that gets noticed at several road stops along the way, which leads to her inevitable “gone viral” glory. At a donut shop, Iris sings like an angel. At a coffee shop, she plays a symphony using cups and the soda fountain. At a restaurant, she builds a glorious musical fountain out of dishes and pans. This book is absolutely ideal for anybody to read whether you have or know somebody with Sensory Processing Disorder or not! Also brilliant if you know someone who is a little bit sensory or autistic so I highly recommend to parents, carers, guardians, teachers, therapists and everyone in between. I will be honest and say that I found it hard to read sometimes because of the sensory things mentioned so I stuck to reading it in small chunks and often. Iris tackles the most terrifying thing of all – interacting with new people along her journey. What I love about Iris is that although she is not like other girls, she doesn’t once let her sensory problems get in the way of her ambitions. Her family, friends and even new people she meets along her journey do their very best to try and accommodate her quirks and understand her more deeply which really was refreshing to read. I was worried about how the book would end (what can I say, I hate a sad or happy ending I get emotional either way!) but this book surprised me by ending (no spoilers promise) in just the right way and it tied everything together nicely. So what did I think overall? I saw so much of myself in Iris’s character. The way she struggles with new environments and forgets to breathe is a bit like me too! I learnt a lot from the main character actually, she comes across as the most genuine kind-hearted girl who brings the best out of the world and situations around her without knowing it. 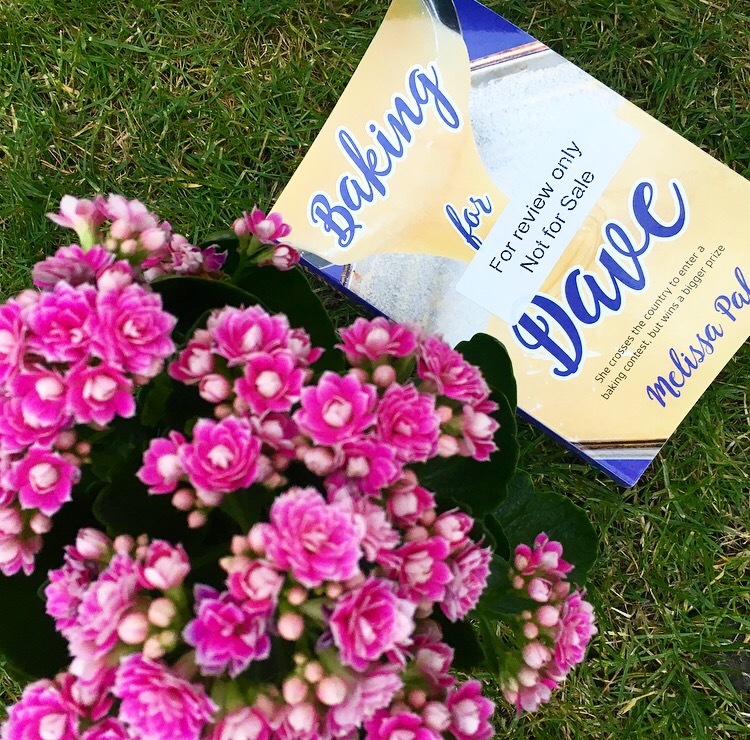 Despite the fact her life has been one of isolation and misunderstanding, she really does find out just how much she is loved in the end – definitely worth a read! My last post discussing being sensational was my 200th post on my blog! I also now have over 260 subscribed followers of my blog so I thought I would take the opportunity to thank everyone for following – it means a lot that people actually read what I say and I absolutely love reading the emails and comments I get. I have found since I was little that I absolutely LOVE listening to baths running/filling up. I don’t know what it is about them but I find it super calming and I also get a weird tingly sensation on my head. Below are two links to my favourite bath filling ASMR Youtube videos. I listen to them before bed or when I need to listen to something in the background which isn’t music (e.g when I’m essay writing….ugh).